How customer-centric transformation can lead to deeper relationships, increased revenue and streamlined operations. Though the global economy is still sluggishly shaking off the effects of the near meltdown in 2008 and the ongoing sovereign debt crisis, banks in both the emerging and developed economies have as opportunity to manage enormous capital growth and wealth creation. 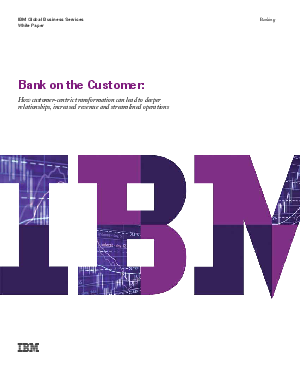 But to regain customer confidence and earn their slice of the increasingly competitive market, banks must transform themselves. They must jettison decades-old, product-oriented operating models and become fully client-centric.